Massive 40% discount on the full upgrade! 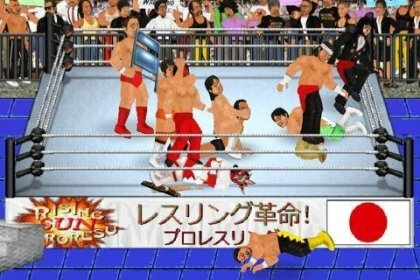 The original 2D wrestling game that started a mobile revolution! It harks back to the genre's 16-bit heyday where the fun comes first, and the versatile animation system means that anything could happen at any moment - with as many wrestlers in the ring as your device can handle! Purify the contents of your soul as they churn throughout numerous lifetimes!